My client chose a particular rich dark green siding and black window trim for their Craftsman bungalow. I presented them with options for the remaining trim and door colors. Then I made this quick GIF animation for fun. To get the most out of the design process, it is best to present me with a problem statement rather than a solution. Isolating the problem statement is easier said than done. I find clients usually understand their design problems perfectly. They know what parts of their layout are inefficient, which finishes are outdated, which views are not accessed, which views should be blocked, what needs are simply not provided for in their home. By taking all of these factors into account, in addition to issues of structure, cost, codes, and so on, I can present a solution you may have never thought of that solves your problem very well. Here’s an example. A two-career, two-computer couple hired me to add a study/library to their home. They stated that they wanted this room right off of the kitchen, because it would be “close to everything.” They felt that the problem needing a solution was: how do we get light into the kitchen if we block off its sliding glass door with another room. 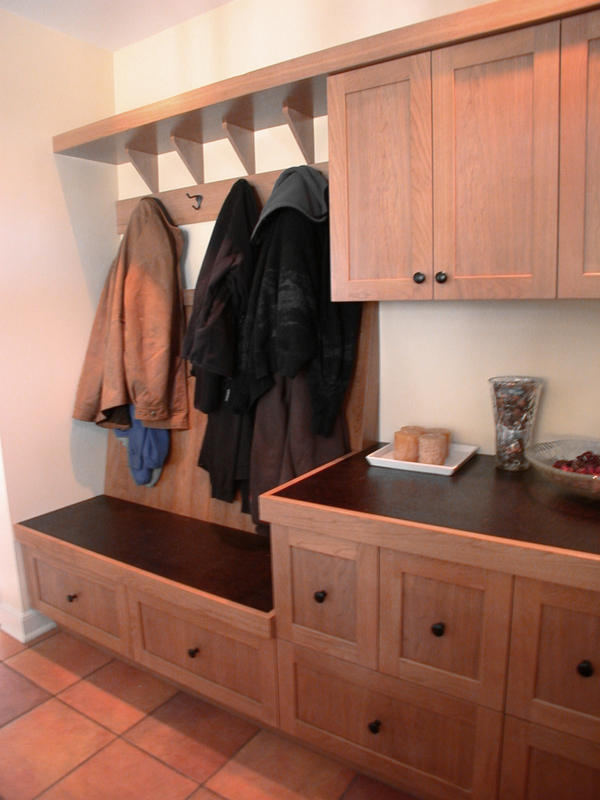 I understood that this couple needed a new room, but questioned whether it had to be right off of the kitchen. In fact, that would make it too close to everything. I proposed location a little further off the beaten track. This proposed location was secluded enough for actual study to take place. It had the added benefit of being structurally simple and not taking away the kitchen’s light and access, which were established and enjoyed. I will help peel apart the issues driving your design. 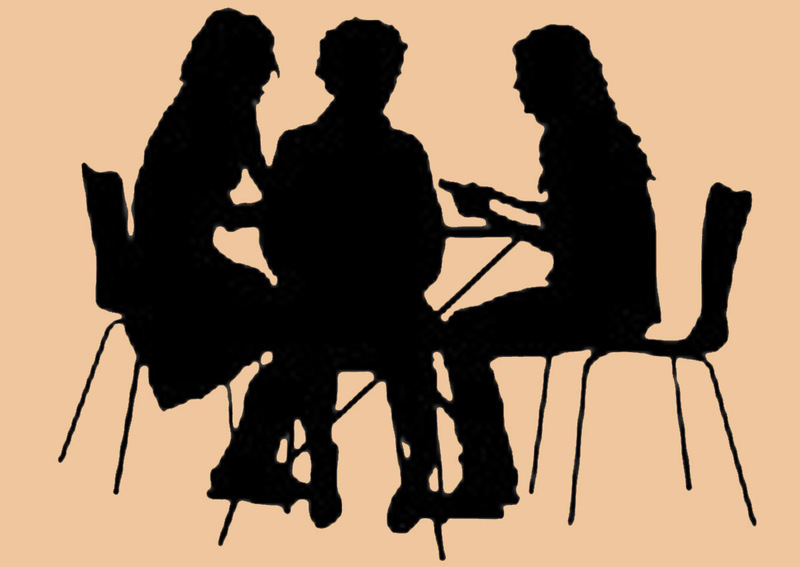 The first few sessions may well consist largely of discussion and questions about your house, your needs, your priorities, etc. When presented with solutions you may never have thought of, it is best to have an open mind. You may discover that I have hit upon a great solution! It goes without saying, though, you are the final judge. A good way to evaluate a design is to ask the following question: Does it solve your problems constructively? This is the most important thing a design must do. I recommend that clients keep a record of the design process. A notebook, folder, or journal allows you to have a central location for questions, issues raised at each meeting, items to consider for the next meeting, opinions, priorities, lists, and so on. 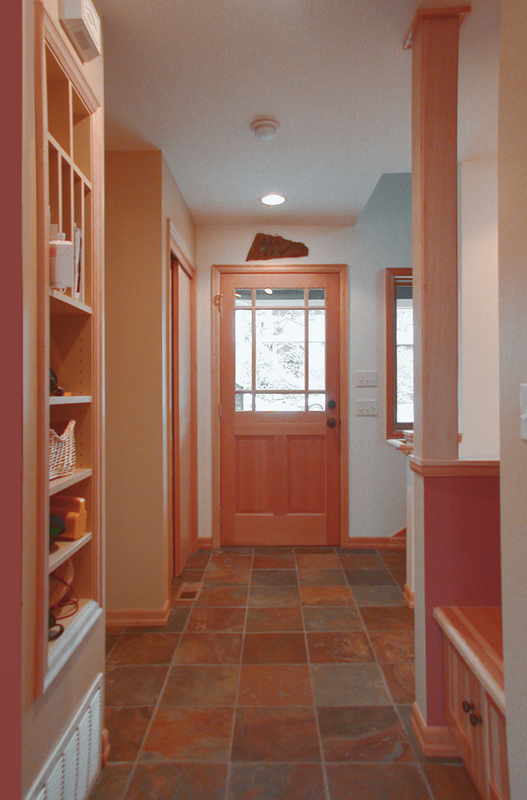 Many clients collect photos of projects they like. I regard these as impressions, not necessarily as solutions to directly reproduce. If you have house plans already, by all means, bring them. It will give me a good head start on preparing “as-builts.” This can save many hours of billable time. Bring a budget, even if it is not “set in stone.” Be honest about your intentions so that I can work towards the best solution that you can afford. Without an accurate budget range to work with, I will probably propose more or less than you want. Eventually, you will be responsible to provide data such as your legal description and tax assessor’s number (for permit). If site information is required, such as a survey or a letter or report from a soils engineer, it is typically provided by the client. Feel free to share this writing, but please provide a link back to 2H Pencil. There are a few places in a house where your hand frequently touches the architecture, and they deserve special attention. These custom-made cabinet handles by Seattle woodworker David M. Fen enhance the experience of use through carefully detailed visual and tactile qualities. I think of them as house jewelry. 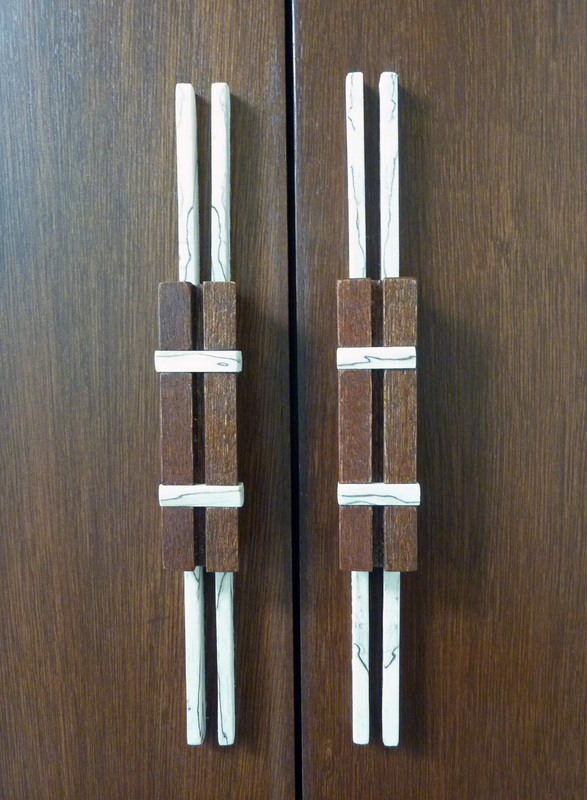 Sometimes, a handle incorporates multiple wood species. Some are wrapped, and/or carved. 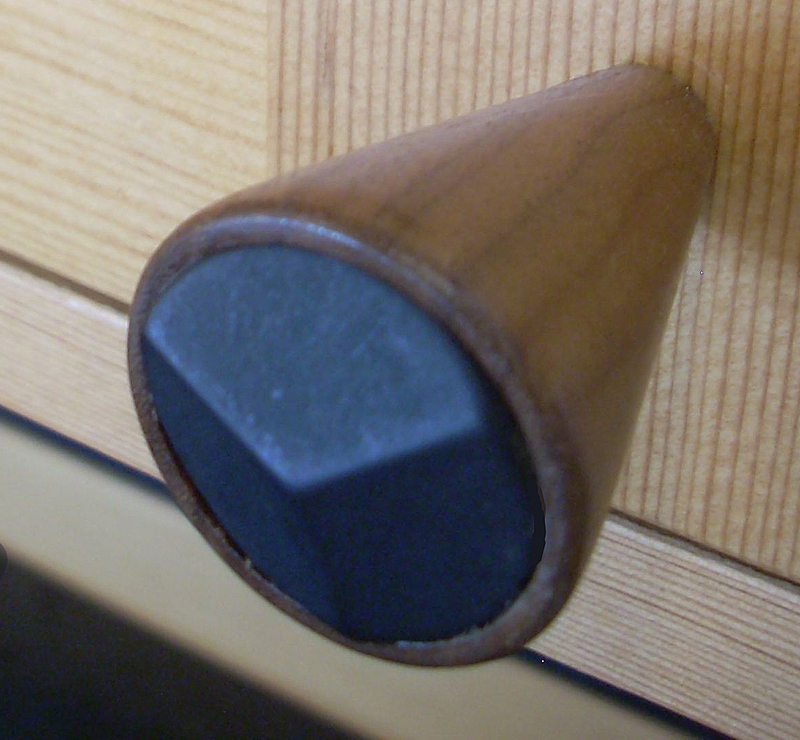 The knob, at bottom of posting, includes a carved black onyx disk. Upper left image belongs to Laura Kraft-Architect. All others courtesy of David Fen Fine Woodworking. Feel free to share any of these images, but please provide a link back to 2H Pencil. Thanks. 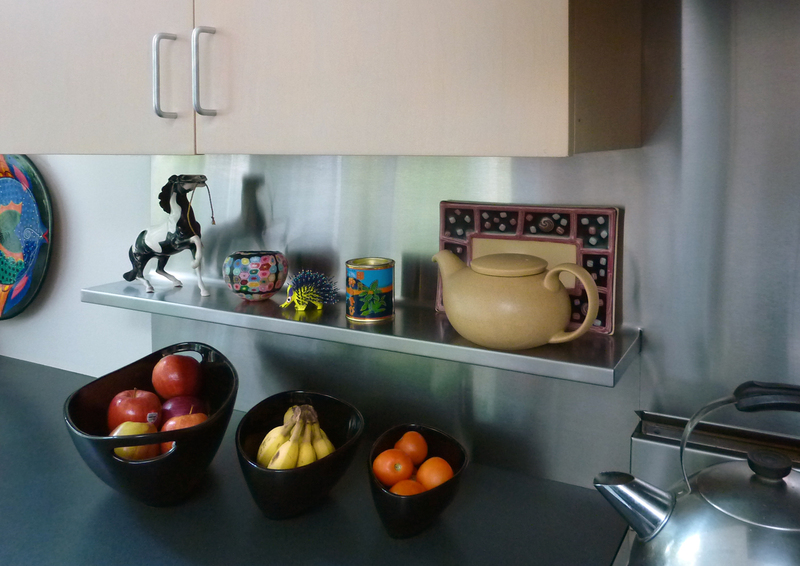 Custom fabricated stainless-steel back splash with integrated shelf. Flush termination of steel at end of wall. 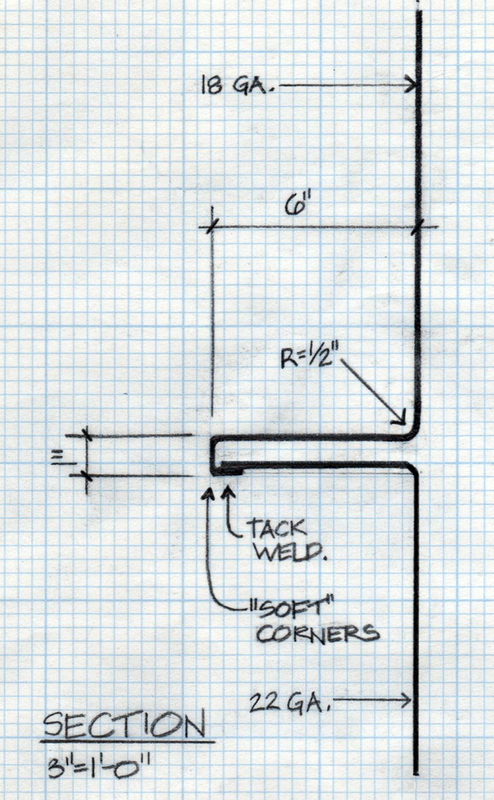 Radiused transition between shelf and wall eliminates a seam. 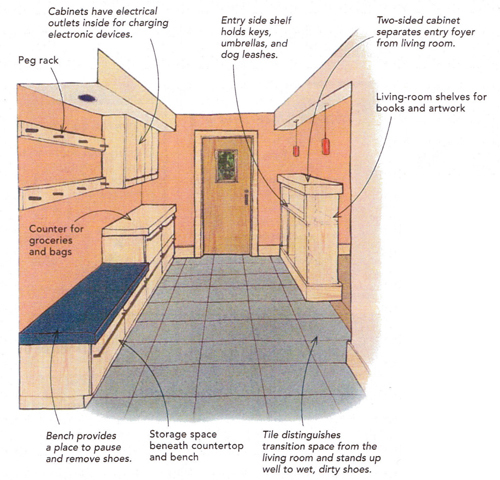 According to the AIA’s recent 2012 Home Design Trends Survey, as summarized in an online AIA article, Mud Rooms/Drop Off Zones stand out as the sole “special function” spaces that are increasing in popularity among the three most desirable spaces included in home remodels and additions. Along with Drop Off Zones, the survey cites home offices and outdoor living areas/outdoor rooms as the other two top choices for clients’ remodeling projects, though they are not currently growing in popularity. 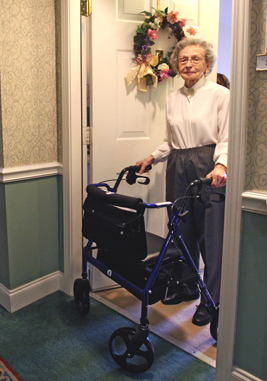 As compared to new construction, “improvements to existing homes remain the strongest sector of the housing market…(encompassing) kitchen and bath remodels, as well as additions and alterations to existing homes.” In general, people are concerned with energy efficiency, and design for aging in place. 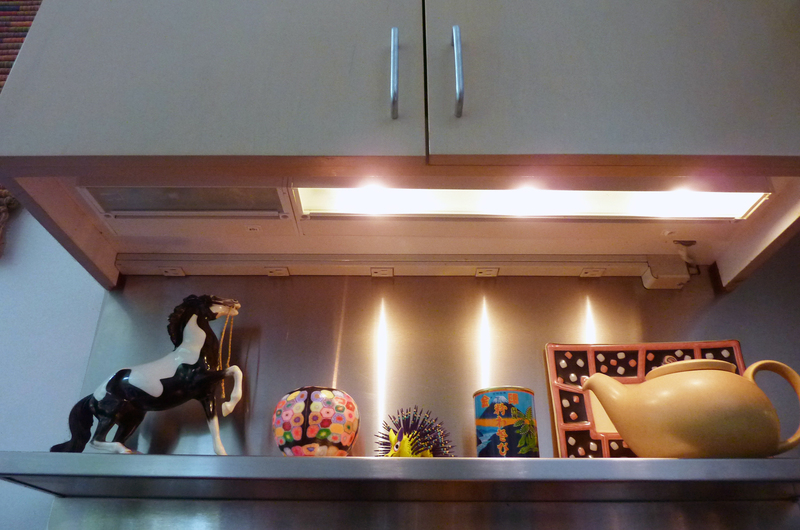 All of these types of improvements are key components of projects in my practice of architecture.